An enigma to the spirit realm, as well as the mortal world, Shen belongs to neither. Although born to one of the most revered families of northern Navori, it was his father’s role as the Eye of Twilight that set his destiny in the Kinkou Order. As the son of Great Master Kusho, he was immersed in the order’s culture, and its core tenets were as familiar to him as the Ionian sunset. He knew the necessity of Pruning the Tree, the determination of Coursing the Sun, but above all, he learned the wisdom of Watching the Stars. He meditated and studied throughout his childhood, and was considered exemplary by all his teachers. His closest friend, the only one who could match him in practice bouts, was the young acolyte Zed. They grew up as brothers, often confiding in each other their personal hopes and dreams. Shen could turn to Zed for a fresh perspective on any matter, and the two became known as the Kinkou’s most promising students. As their skills developed, Kusho brought them on dangerous missions, including a hunt for the Golden Demon plaguing the province of Zhyun. Their search took years, but Shen stayed committed even after uncovering countless gruesome murders. When they at last captured the “demon”, it was revealed to be Khada Jhin, a mere stagehand from a traveling theater. Instead of execution, Great Master Kusho ordered the criminal imprisoned. Though he and Zed both thought the killer deserved heavier punishment, Shen accepted his father’s decision. He strived to emulate the Eye of Twilight’s dispassion, and so found himself failing to console a bitter and resentful Zed. Even when Noxian invaders threatened the peace of the First Lands, Shen reluctantly supported Kusho’s inaction. But when Zed abandoned the Kinkou to join the fight, Shen stayed within the temple walls. Many of the provinces were soon occupied by the enemy. Despite this, Shen focused on maintaining Ionia’s spiritual harmony. So it was, when he was far from home, he felt a jolting imbalance within the Kinkou Order—rushing back, he came upon the survivors of a bloody coup. From them, he learned Zed had raised acolytes of his own, and seized the temple. Worst of all, Shen’s father had been slain by the man he once saw as kin. Repressing his anguish, he led the remnants of the Kinkou to safety in the mountains. Shen took up his father’s spirit blade, as well as the title of Eye of Twilight. His role was not to seek vengeance, but to rebuild the order. Following the core tenets, he began to recruit and train others, hoping to restore its strength. One acolyte in particular showed boundless potential. Shen taught the girl, Akali Jhomen Tethi, to master the arts of stealth and subterfuge. Her mother, Mayym, had stood alongside Kusho as the Fist of Shadow, and it seemed as though her daughter could follow the same path. Even so, Shen found himself forced to urge restraint whenever Akali would seek to strike back at their mortal foes. When Noxus finally withdrew, many Ionians celebrated the victorious resistance. Others, like Shen, endured the consequences of war—he persisted in his duty, while in private he wrestled with his hatred for Zed, and doubt in his own ability to lead. The years of conflict had taken a heavy toll on the First Lands, and Shen was uncertain whether the rebuilt Kinkou would ever be able to redress the balance. Indeed, even as Akali became the new Fist of Shadow, he felt her beginning to drift away. In time, she openly denounced his teachings, and left the order. Shen meditated, watching the stars, and understood that Akali would need to find her own way… and so would the Kinkou. Sometimes, between unseen struggles in the spirit realm, Shen still contemplates the value of his beliefs. He has never let his emotions stop him from preserving tradition, but the question remains: how long can one man walk two worlds, before the acts of one destroy the other? "The Eye is blind to fear, to hate, to love – to all things that would sway equilibrium." “It was no tempest. It was a spirit” said the fisherman, still rattled by the shipwreck he’d barely survived two nights ago. The man told of his fishing vessel being sunk by a creature, large as a house and quick as the wind. “Show me where it happened” said Shen. “How many dead?” he asked. “All but me… Six” responded the fisherman. “You need not worry. I shall have the monster before nightfall” said a voice from behind. “Balance will be restored” said Shen with an assuring nod. Suddenly, a distressing sound stayed his hand. It was a shrill, ghastly cry, emanating from the very air itself. It sounded familiar, but before Shen could identify the noise, he heard it again. And again. And again, culminating in a chorus of blood-curdling shrieks. These were the cries of dying spirits. Shen’s eyes darted back to the demon, now beginning to stir from its slumber. Shen took one more look at his spirit blade, calmly weighing his options. He then clasped his hands together, carefully focusing his ki, and disappeared in a vortex of crackling energy, leaving the demon alone on its sandbar. “I am sorry for this, Your Holiness” he said. He placed his spirit blade back into its scabbard and drew his steel saber instead. It was not the sword he had expected to use that day. “Clever boy”, Jhin thought, before fading into the back of the crowd. And his true masterpiece would begin. Active: After using an ability, Shen shields himself for 2.5 seconds. If the triggering ability successfully affected at least one champion, Ki Barrier's cooldown is reduced. Active: Shen recalls his spirit blade and draws it. Enemies it collides with are slowed when moving away from Shen for the next 2 seconds. Shen's next 3 basic attacks deal bonus magic damage. If the spirit blade collided with an enemy champion, those attacks deal increased damage and have +50% Attack Speed. Each attack deals 100% damage monsters. Active: Shen spirit blade creates a defensive zone for 1.75 seconds. Basic attacks that would hit Shen or an allied champion in the zone are blocked. If there are no champions to protect in the zone when it stars, the spirit blade will not activate until one enters or 2 seconds pass. Passive: Dealing damage with Shadow Dash or Twilight Assault recovers Energy. We’ll shoot straight - we dig Shen’s strategic use as a global protector for your glass cannons or when teams utilize a ‘Shen-delivery system’ for reliable engage, but prefer to see him far less when he’s just ‘that immovable brick that happens to have a teleport’. He’ll scale just as well, but punching a hole into his basic sustain should give him less of a free pass in toplane. "Ah, Shen. Once the poster-child of split-pushing, Shen finds himself in a rough spot - a world where his strategic niche (global pressure) is now shared by a vast majority of top laners due to Teleport's presence in the modern metagame. Teleport allowing such a wide group of champions to participate from such an isolated position is a pretty neat thing, so while we aren't necessarily solving that today, we're hooking Shen up with some late-game goodies to keep up the pressure where he falters most. While there's other changes that are self explanatory, Ki Strike's the biggest of the few here. 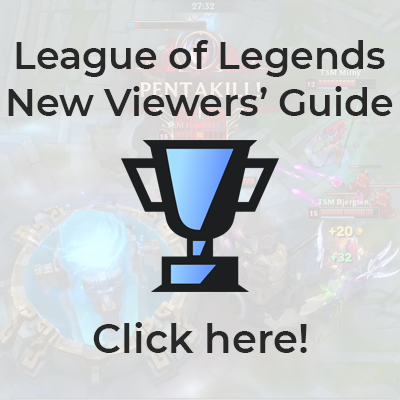 Tanks in LoL require some amount of sustained threat (or they aren't worth being so hard to take down), and by significantly upping the output of Ki Strikes, Shen can return to being a map-wide nuisance and a tower-taking threat that demands an answer." "Already a potent guardian, Shen's leveled up his teleport game to naturally position himself in the best spot to defend his teammates." "Once hailed as the map presence pick in the toplane, Summoner Teleport steals some of Shen's identity when it comes to saving your teammates from the shadows (we never said he was a great ninja). Making Stand United more available for cross-map action, especially in the late-game should help Shen find his place among the Tanklords." Though Shen is no stranger to the shadows, we all remember how crazy this ninja gets when he's gets out of control. That said, we think loosening some of Shen's larger energy constraints is a nice place to push his power without instantly putting him on top. We're still assessing where he's at, but hopefully this allows us all to see a little more Shen in our lives. Or not? (He's not a very good ninja)." "Full disclosure - we're not 100% on what the impact of changing this will be as it's hard to know how much random Energy this was giving Shen in teamfights. If Shen needs love as a result we're happy to give it, but he shouldn't have to rely on a bug for power. " REMOVED NO DISRESPECT Fixed a bug where taunting dead champions would give Shen bonus energy. "This was one of the toughest and longest-standing bugs to track down. Yeesh." v3.14 Context: We hit Shen's end collision radius just a little too hard last patch, so we're increasing it a little. Fixed a bug where last hitting with Vorpal Blade healed for less than intended. It can now be cancelled mid-attack (and will not say 'Cannot Move While Casting'). Fixed a bug where it could kill a target and not trigger Vorpal Blade's heal effect. Updated Feint's tooltips to properly match the functionality and adjusted the playing tips referencing it. Fixed a bug where Shadow Dash could move a shorter distance than intended if Shen was greatly slowed.